Patricia Highsmith once published a short story collection called Nothing That Meets the Eye, and Carol, the film adaptation of her novel The Price of Salt, fits that phrase very well. The film feels like a dream in which layers of meaning are hidden under the surface, and two qualities of this extraordinary film make that happen. 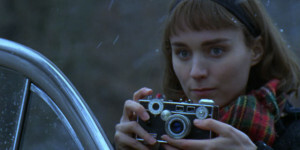 One is the work of director Todd Haynes and cinematographer Edward Lachman. Haynes was a near-eleventh-hour replacement for John Crowley, who directed another motion picture set in 1952-53, Brooklyn, and Crowley’s old-school Technicolor storytelling, while excellent, is completely at odds with the approach Haynes and Lachman have taken. 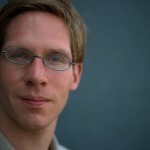 To tell the story of two women in love in early 50s New York and the necessary subterfuges and repression involved, Lachman and Haynes shot the film on color Super 16mm, which provides a grainy, almost hazy quality reminiscent of a dreamlike state, and the shots they create are full of reflections, carefully controlled use of focus, and meticulously composed frames that are all but too perfect. The style turns Carol into something close to fantasia. All of that said, Haynes and Lachman’s magnificence would be for naught without excellent performers in the lead roles of wealthy Carol Aird and working-class, aspiring photographer Therese Belivet. It is an especially crucial point because while the film is titled Carol, the story is really about Therese and how she sees Carol as the person of all her fantasies…and how the disjunct between fantasy and reality allows Therese, after a painful processing, to find the strength to live as her authentic self. Rooney Mara, who shared the Best Actress prize at Cannes, conveys all of this as Therese. Mara is a fascinating actress (think back to the opening scene of The Social Network) and excels in the right parts. She is not a Kate Hudson, someone reasonably mediocre who can do great things with great writing, but an actress who can convey certain states of being and emotional journeys with an excellence not found in others. Mara’s performance as a person in the midst of delayed coming-of-age starts out with tentativeness in voice and gesture and gradually evolves into confidence, but while her physical presence changes and asserts itself, her emotional needs are clearly undeniable thanks to Mara’s projection and soulfulness. But Carol needs to be as compelling a figure, and here, thankfully, we have one of the greatest living actors, Cate Blanchett. Carol wields a goddess-like power; Therese sees her first as an all-consuming figure of passion and then as someone who makes her realize the worst qualities in her which she needs to change. Blanchett conveys this power. She has her frailties, best portrayed in her need to be close to her daughter, but she conveys a stern, overwhelming, almost whimsical sense of godlike superiority mingled with need that never reduces her to temerity. 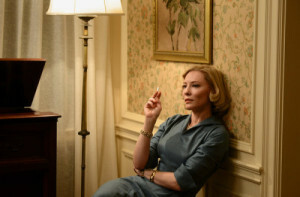 Blanchett and Mara are ably supported by Sarah Paulson as the best friend/unapologetic lesbian of fantasy (this impression coming in only a few scenes) and Kyle Chandler and Jake Lacy, two extremely likable actors, as the men in Carol and Therese’s life who find homosexuality unthinkable and immoral. But these performances mostly work because they play off the moods the two leads create. 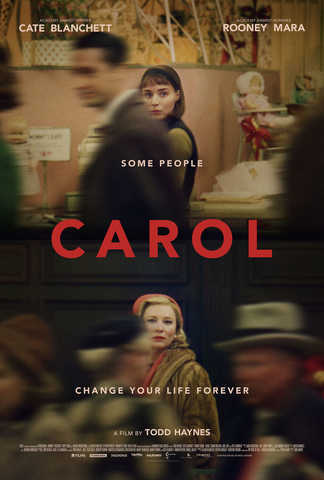 The mixture of performance, formal creation, and content, with a fair dose of the social moods of this day and age which make a story of gay lovers needing fulfillment a more powerful tale than ever, makes Carol superb (and at the least infinitely better than Freeheld), but even if it hadn’t come out in 2015 it would be unforgettable due to this alchemy. Some of the people I respect most on Earth are the women I’ve befriended in the comics and nerd culture worlds, and their overwhelming reaction in the days after The Force Awakens was one of tears. Happy tears. Tears for Rey and for how long they wanted a character like her. For how long they wanted a character like her who could also step front and center into one of the biggest juggernaut franchises of all. Rey, the tech-savvy young woman who can pilot a ship and throwing down with any antagonist—and lives on a desert planet—is the new trilogy’s Luke Skywalker, but she has none of Luke’s whininess or impetuosity. She can’t stand it when Finn (the wonderfully comic and quite moving John Bogeya) tries to step up and “protect” her. She takes charge but always does so with a plan. She rescues herself when she falls into distress. And in the final twenty minutes, what she does made me want to stand up and cheer. 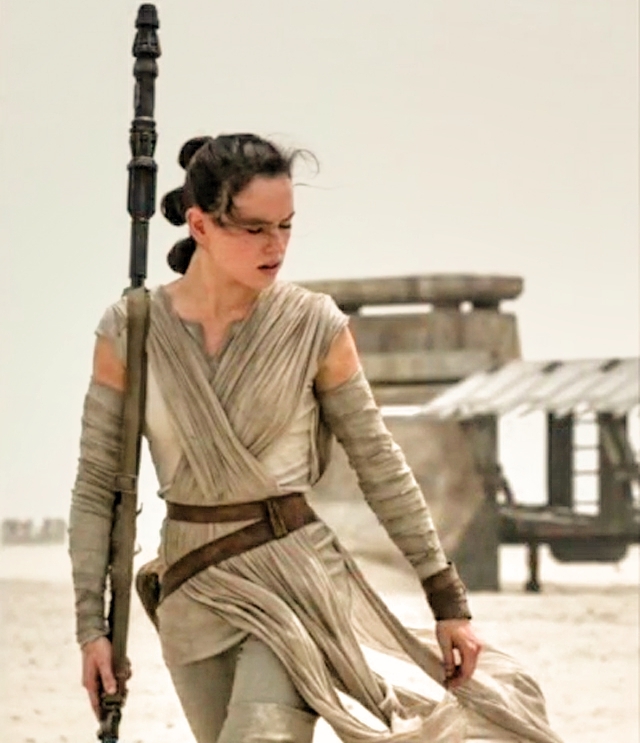 Those who attack her as a “Mary Sue” are wrong for many reasons, and the primary one is that Rey is not perfect. She can be weak and vulnerable; her attachment to Jakku and her waiting for the unknown people who she believes will come back for her nearly destroy the entire mission. The Force Awakens is about her awakening to how there is more than that wait. And this is how I answered the question that rankled me for days: how to distinguish Rey from Imperator Furiosa, the other magnificent heroine whose adventures we got to live with this year. Furiosa’s greatness comes from how she rises to the occasion when the responsibility she has taken on—to work with the wives to transform the world—becomes a seemingly impossible one to fulfill. Rey does not have that same responsibility, but she transcends what everyone, especially herself, believes she can be and what defines her, and frees herself to achieve the physical and spiritual grace of the Force. And in doing so, Rey becomes as much a role model as Furiosa, a lesson for young girls—and even more, young boys—on not letting definitions, self-imposed or otherwise, set your life in stone. Most wonderfully of all, Ridley is an actress of natural charisma who can sell the action and convince in the character moments. Watching her is the greatest of all the joys of the new Star Wars, for it is watching a star being born. Episode VIII cannot come soon enough.